Now before we go any further. I do have 4 devices hooked up, 2 are cell phones, and other 2 are applications (located on the tablet+desktop). Let’s concentrate on the 2 cell phones. I have a BlackBerry and an iPhone. Let’s see what they have logged on those two devices. 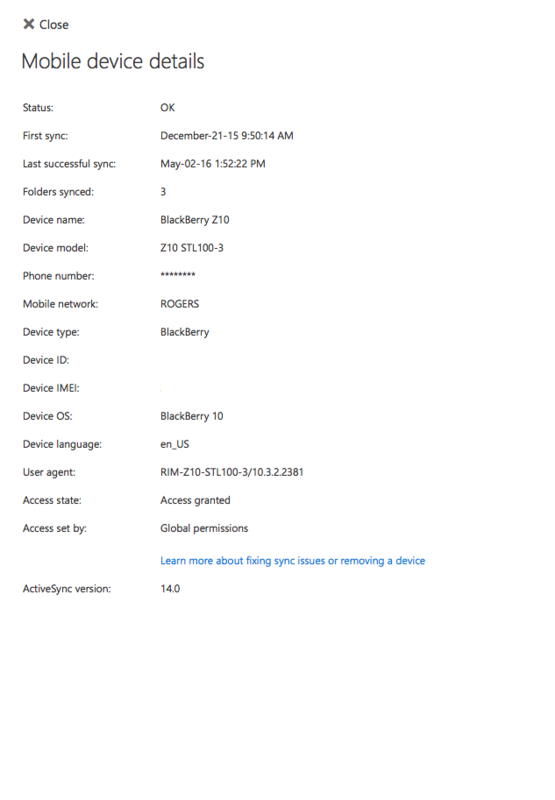 You might already be surprised that BlackBerry actually reveals your full phone number to Microsoft. Online they only show last 4 digits, but believe me…Microsoft has your full phone number, whether you like it or not. iPhone surprisingly does not gives your number out to Microsoft. 1-0 for iPhone. I have removed last 4 digits of my phone number, Device ID and Device IMEI. 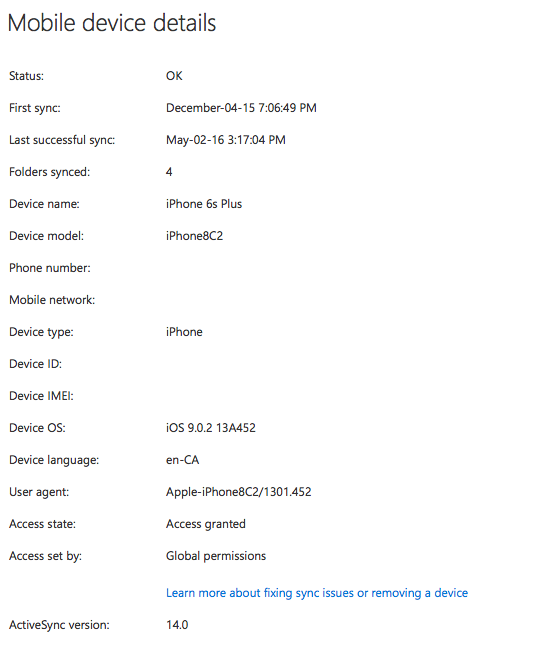 Microsoft had the entire identity of my phone. EVERYTHING!. If you are keeping count, that’s iPhone 4 and BlackBerry 0.
iPhone did not reveal everything, as a matter of fact they have shown limited information. The only thing I had removed is Device ID. I probably could have left it, as I don’t see that same ID listed anywhere on the box or on the device. Final Score: iPhone 4 and BlackBerry 1. Is BlackBerry truly a privacy oriented company? From what we had observed here, no they are not. As a matter of fact they didn’t keep anything private from Microsoft (Outlook client).